We have successfully shown how Gog and Magog have been released by Allah’s leave. Now let us see some of the proofs as to why we believe that Gog and Magog have been released: First we shall examine the timeline of Prophet Muhammad (SAW) looking at the statement (Hadith) which he stated regarding the hole in the barrier along with examining the timeline (emergence) of the Khazar tribe (Gog and Magog). Prophet Muhammad (SAW) passed away on 632 A.D which falls into the 7th century. Therefore in the 7th century opening of a hole in the barrier of Gog and Magog occurred. Prophet Muhammad (SAW) prophesized this in the 7th century before he passed away on 632 A.D, and the history of the Khazar tribe (Gog and Magog) records from the 7th century especially in 650 A.D when they faced the Muslim army in the Caucasus region. The emergence of the Khazar tribe shortly after the timeline of Prophet Muhammad (SAW) is something to consider. The action of the Khazar tribe meets the requirement of the hadith. Furthermore Allah stated Gog and Magog will be a powerful nation, and the following Hadith points out the most affected by the actions and power of Gog and Magog will be the region of Arabia and its people. Is it a coincidence that the Khazar not only emerged shortly after the hadith of Prophet Muhammad (SAW) but they also defeated the Muslim Army of the Arabia which was lead by Abdar-Rahman ibn Rabiah of Rashidun in the Caucasus region in 650 A.D? This ticks the list for Khazar tribe to be Gog and Magog, not only do they qualify to prove Prophet Muhammad’s (SAW) hadith which indicates the barrier is overcome. They also qualify as a superpower and the cause of the Arab’s downfall as Hadith/Quran state. 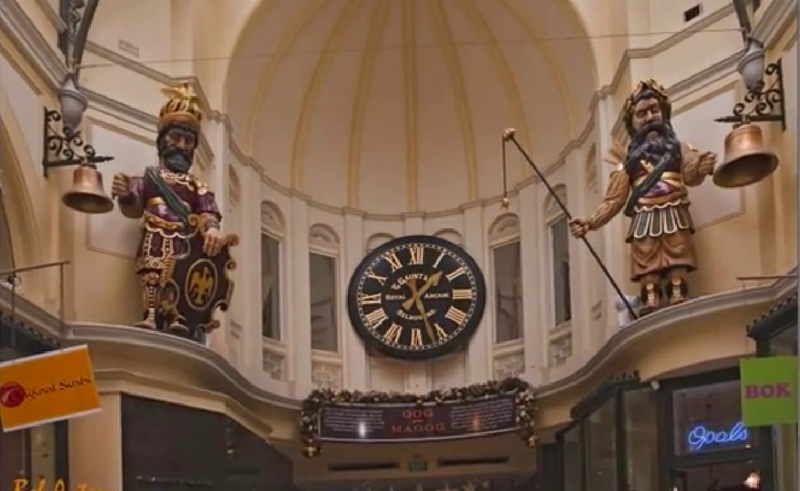 Now if we jump to the present era and observe a few events and occurrences, they can only add up to agree on the possibility of Gog and Magog been released which explains the motive of the event such as the 7 foot giant statues of Gog and Magog which stand in Royal Arcade Melbourne in Australia. 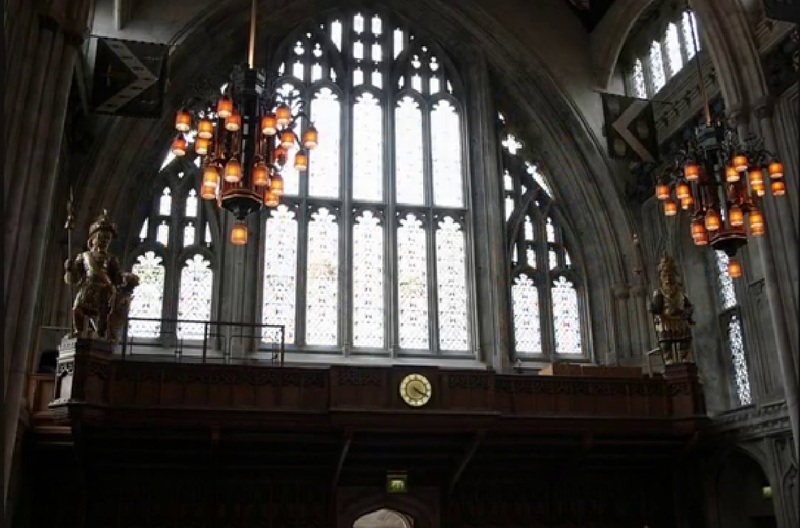 Moreover in London (Britain) in a building known as Guildhall another 2 statues of Gog and Magog can be seen, and every year a celebration unfolds which is known as Lord Mayor’s show which celebrates the succession of a new Lord Mayor.Gog and Magog are considered the traditional guardians of the City of London, hence are glorified in this celebration. Now ask yourself why would people want to celebrate an event which has not yet occurred? Surely this appears like a celebration of an event which has already occurred and is now remembered and glorified by the people. Also Just by looking at the sahih hadith below we can see that even when Gog and Magog are released, people would still continue performing Hajj and ‘Umra just as they are now. It is also clear from the verses of the Qur’an (al-Anbiyāh’:21:95-6) which declare that after they are released, Gog and Magog will have to spread out in all directions or descend from every height and only then would the people of the ‘town’ be brought back to reclaim the ‘town’ as their own. As a consequence we are now in a position to determine their precise stage of release. Since the water level in the Sea of Galilee is now so low that the Sea can be considered to be dead (a fact that readers can easily verify with a Google search) it follows that the release of Gog and Magog is now close to the final stage. This is further confirmed by our recognition of ‘Jerusalem’ as the ‘town’ mentioned in Qur’an 21:95-96. 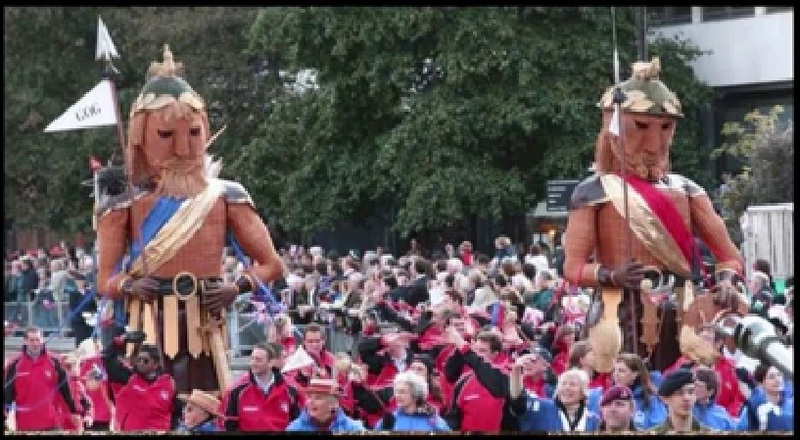 The fact that the Israelite people have now returned to reclaim that ‘town’ as their own indicates that Gog and Magog have now successfully spread out in all directions and taken control of the world. Israel was declared a state on 14th May 1948 (Friday 5th Rajab 1367 A.H.) and recognized on 1st May 1949 (Sunday 2nd Rajab 1368 A.H.).